Description: Digitization provided by the USF Libraries Digitization Center. Rare Maps. 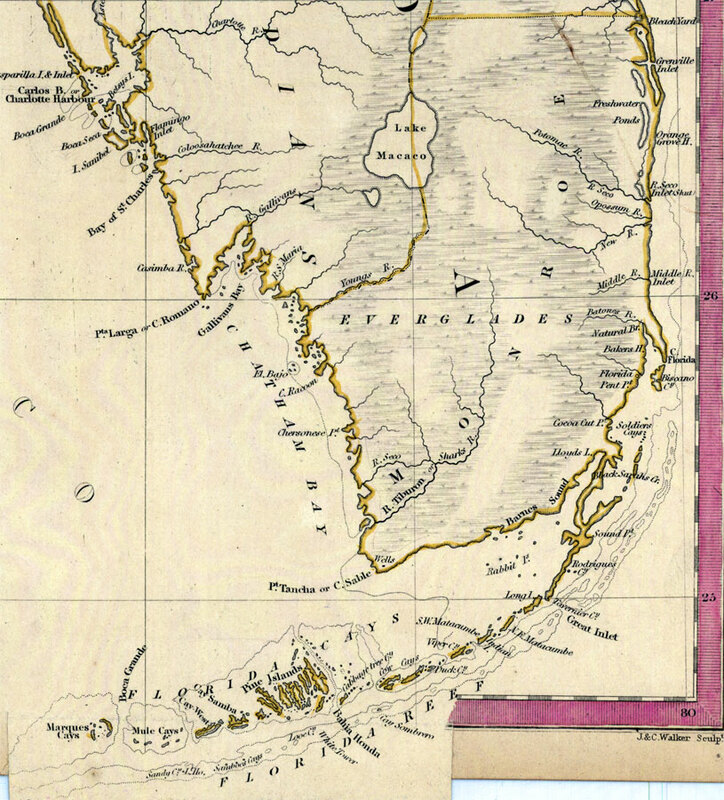 This is a detail of Monroe County from a hand colored map of Florida, circa 1834. Monroe County is shown spanning through present day Monroe and Miami-Dade counties. This map shows cities and towns, inland waters and county borders. There are inland waters such as Youngs River, Caloosahatchee River and the Everglades. Scale [ca. 1:1,774,080].